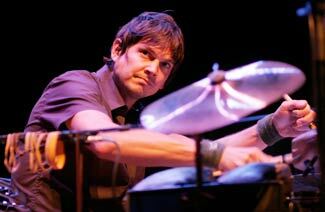 When not drumming for Wilco, Glenn Kotche is putting out some fascinating solo percussion albums. His instrument setup on stage was quite overwhelming. It engulfed him with countless drums and peculiar noise making devices. His live showed added a more experimental and lively addition to his rhythmic and technical songs. The other fellow Chicago instrumentalist, Andrew Bird took the stage playing a lot of his older and more intimate songs solo. It was enjoyable to see Andrew give his songs a unique interpretation in a live setting. He even played a new one he was working on which I particularly enjoyed. With a mutant gramophone spinning wildly in the back, the rest of the band joined him to play the highly textured songs off his new album. Despite the fact that I consider Armchair Apocrypha one of the best albums of 2007, his overall live show was a surprising letdown. He played his songs with amazing precision and amazed me with his movement between violin, guitar and even whistling. However the show just lacked the dramatic range I was expecting. 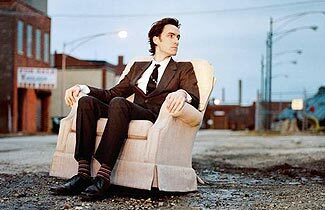 I felt that the songs could have been improvised and pushed even more than what his albums hint at. No Scythian Empires but he did wear some really fun socks. 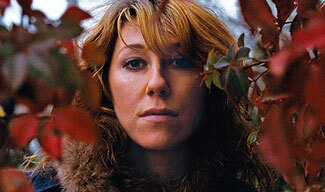 Martha Wainwright kicked things off tonight and played a rather long set of her emotionally charged songs. The Beacon Theatre was sold out for The Swell Season which consists of The Frames Glen Hansard and Markéta Irglová. There was a palpable energy in the air and it began when Glen sang sans-microphone on the edge of the stage. They played songs from the Once soundtrack which is filled with songs of troubled romance and desperate love. Their 2 voices harmonize beautifully, whether Glen or Markéta is in the lead. The music was pure poetry and the Beacon was a great setting for it making it somehow feel very intimate. I had the same goose-bumps during the performance as I did during the movie and it was one the best performances I’ve experienced in quite a while. Pictures and Audio from the show. Canada’s Cadence Weapon was the opener tonight. I felt his slick rapping was an odd choice for the evening but Owen came out to play a song with him which was kinda neat. I’ve seen Final Fantasy several times now, and he has always put on a fun performance. I was a bit shocked that they booked him at Bowery but a big crowd did come out to see him. He played for an hour and encored with the always enjoyable cover of Mariah Carey’s “Fantasy”. 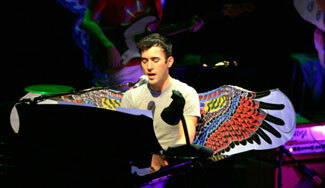 Only Sufjan Stevens could sell out 3 performances about the BQE. The first half of the evening consisted of an ordered set of instrumental compositions. 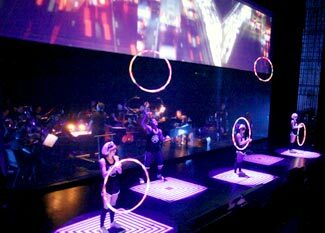 The stage was horizontally split by a 3 channel video screen that showed 8mm movies of the BQE and its surroundings. I thought the videos were beautiful and tied in with the music nicely. Several songs had live hula-hooping performers who were also in the videos. Their costumes and lit-up hula hoops were quite trippy. Sufjan played more of his “hits” in the second half of the set. He played “The Majesty Snowbird”, a triumphant song and the musical highlight of the evening. Overall a very impressive audio visual performance.